Check out the most updated and latest information about A.R. Rahman's on the Internet.We have 22 videos of A.R. Rahman including interviews, events, or public appearances.A.R. 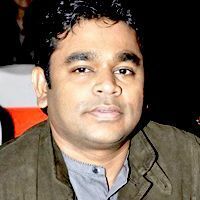 Rahman has over 212 Fans registered on India-Forums.com. We have 558 Bollywood News articles related to A.R. Rahman.Do share your criticism, comments and feedback for the Actor on A.R. Rahman's comments page. We have over 10 Photos of A.R. Rahman to view and download including A.R. Rahman's Wallpapers. Hello ,i am Hazel Parker from united state of America and i am supportive,caring and also i have a passionate of true love in my heart. i just went through your profile today on this site then i pick interest in you and i will like us to know each other more to establish a good relationship and please try to write me at ( [email protected] gm ail .c om) then i send you my pictures then introduce myself more better to you ok, thankn. One of the greatest musicians of all time. Rahman is India's gift to the music world. Sir, I am a big fan of you and love to listen your songs, I keep waiting for your new album, but nowadays I am missing that punch and josh in your music. Can we get to listen Roja, Kadhalan, Bombay kind of stuff in future? very good music director. I love his music. He is the best.